If you are looking for static caravans for sale in North Wales, look no further than Seldons Golden Gate Holiday Centre. If you’re not sure about whether it’s the right choice for you or you need help choosing your static holiday home, keep reading. Why buy used static caravans in North Wales? There are lots of advantages to buying a static caravan if you want to save on your holidays. When you have a static caravan, you have an instant holiday whenever you want one. In the long-term, you can save money and perhaps even make money, even if you need to be prepared to invest upfront. Buying a pre-owned static caravan in North Wales often means buying a sited caravan. If you choose the right site for you, this offers convenience, but you can also find out how to move your caravan to another site if you want to. How much do caravans depreciate? Depreciation is an important thing to take into account when you buy a static caravan. A new static caravan can depreciate just as quickly as a new car can, so you actually get better value from buying a used static caravan most of the time. If you buy a caravan and keep it for many years to come, you’re sure to get your money’s worth from your investment. Make sure you don’t get stung by any legal or financial problems when you buy a pre-owned static caravan. Check over all of your paperwork, site fees and more, as well as the ownership credentials. It’s also important to research prices so that you know you’re paying a good price. When you budget for your static caravan, remember you need to think about more than the caravan itself. Don’t forget to think about insurance, site fees, utilities, maintenance and other costs. Choosing a site for your caravan is a necessary part of buying one. If you’re looking for an investment that you can rent out, you need to think about not just your needs but also your guests. You need a location that provides the things that both you and your guests are looking for in a holiday destination. Check the seasons offered by the site, which can include spring to autumn or spring to the start of the next year. Make sure that you’re allowed to rent out your caravan if that’s something you want to do. Remember to check the site fees too, as well as what they cover. To get the right caravan site, you should consider what type of holiday you want. 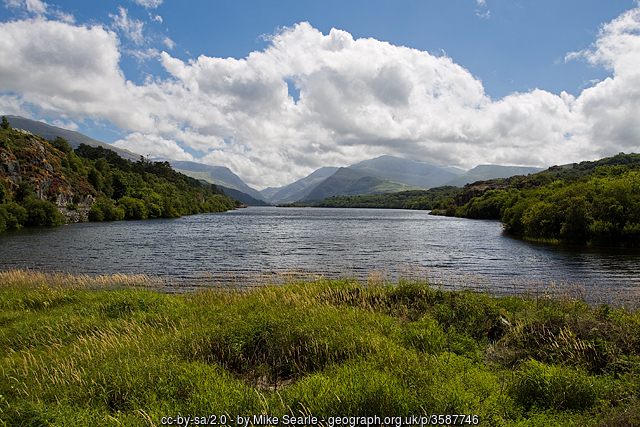 North Wales has a choice of sites that offer wonderful views and countryside, as well as sometimes beaches. You also need to think about what sort of activities are available. Some sites are best suited to couples, groups of friends or families, so don’t assume all sites are right for you and the guests you want to bring in. One of the advantages of owning a static caravan is being part of a community. You have the chance to socialise and to make friends, and even return to the same friends every time you come for a holiday. It’s excellent for children, as well as adults, allowing them to make long-term friendships and always have someone to play with on holiday. Kids’ clubs, clubhouses and diner all offer places to socialise too. Buying a pre-owned static caravan in North Wales means that you save money. Even better, when you buy an on-site caravan that’s already on the perfect site, with everything that you need, you don’t have to go through the bother of moving it. Pre-owned caravans are often sited, which is extra convenient when you make the decision to buy. If you like the holiday park that the caravan is in, you’re all set after making your purchase. But if you do decide that you want to move it, you can often find that caravan dealers in North Wales have arrangements with parks to include transportation in the price or to offer a discount. Be sure not to rush when you’re buying a static caravan. You should check over paperwork, site fees and ownership credentials before buying, and it’s best to have a professional do this. Research the prices that you could be paying so that you avoid paying too much or being taken it by something that’s suspiciously cheap. Renting out your static caravan can help to cover your costs, and it’s a good idea to choose a larger holiday park for this. Larger static caravans with three bedrooms on sites that offer plenty of family facilities and activities will attract more bookings. You can find Seldons Golden Gate in Towyn, where you can choose to spend weekends or weeks enjoying the outdoors and the holiday park. We have pre-owned static caravans available to buy at the park or you can choose to buy a new model to bring in thanks to our close relationships with several top manufacturers. We have various financing options when you are looking for new, used or sited Static Caravans for Sale North Wales. Our finance packages make it easier for you to buy the static caravan that you want. However, if you want more help covering your costs, renting out your static caravan is a good idea. Thousands of tourists choose North Wales as their holiday spot, so it’s the perfect place to have a static caravan available for rent. Choose Seldons Golden Gate Holiday Centre for your static caravan and discover a range of options available to buy, along with a variety of facilities and a wonderful region.